In my last post I spoke about the power of reinforcement in the world of education. My point to making the connection between academia and corporate learning is that reinforcement is no less important in academia than it is in a corporate learning environment. But without report cards, parent-teacher conferences, and other staples of academia, how does one reinforce corporate training? It’s as simple as this. Corporate training shouldn’t end when your employees leave the classroom. In all likelihood your employees will come back from training excited about all the cool things they were shown in training, but how much of it did they actually retain? Fact of the matter is this, you have no clue what your employees did or did not retain. A comprehensive training program will follow-up on the classroom learning offered to your employees. You can choose the best way to quantify what your employees truly learned in training. You may choose to create an assessment customized to your company, and the way it does things. On the other hand, you may choose to have your employees take one of the Certification Exams offered by Autodesk. The method isn’t the important part here; it’s the reinforcement you’ll be able to provide as a result of your employees taking an assessment. Take the Autodesk Certification exams for example. When you take an Autodesk Certification exam, you’re provided with a report that summarizes what you got wrong on the exam. Now if you take this information and file it away in your desk, well you’re once again missing the boat. This information is gold, and provides you, the CAD Manager, with the information necessary to reinforce the training you provided to your employees. 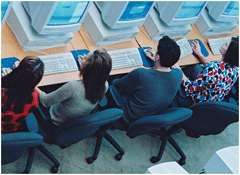 In a perfect world each of your employees would get a 100% on the certification exam. Reality says, that’s probably not a realistic expectation. For a CAD Manager, the true value of these assessments is having the opportunity to identify the deficiencies of your staff. Armed with this information you can then formulate a plan to address these deficiencies with your staff, and truly make your CAD staff a force to be reckoned with! You may choose to address the deficiencies identified in your assessments a couple different ways. Let’s say you have a large group of employees who scored poorly on plotting. A great way to help those users may be to offer a lunch-and-learn presentation on plotting. On the other hand, if you’ve got 1 or 2 employees who had trouble with a specific topic, an over-the-shoulder approach may better serve those employees. Perhaps it’s such a small topic that a lunch-and-learn session would be overkill. Use something like Jing or Camtasia to record short 5-minute videos demonstrating those topics. After all the mind can absorb no more than the seat can endure. However you choose to provide supplemental training to your staff, the key here is to tailor it to the topics your staff is having trouble with. While you may choose to send your staff to more classroom training to help address larger topics, the key to supplemental training is that it be broken up into digestible bits. After all the mind can absorb no more than the seat can endure. If you take the e-learning approach to supplemental training, keep your video segments to 5-minutes. Anything longer than that and your great training video is likely destined to be covered up by your end-user composing or reading e-mail. Keep lunch-and-learn sessions to 1-hour. Such a timeframe should give you ample time to cover any topic suitable for supplemental training, and also give your end-users time to ask some questions. Chances are you’ll have a mix of employees; those who prefer the short 5-minute videos, and others who prefer the tactile experience of a lunch-and-learn session. Whatever the case, you must create a learning experience that engages your users, and plays into their style of learning.